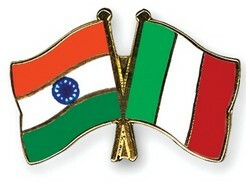 Italy Erred in Dealing with Marines Case » Ambassador Fabian’s blog, KP Fabian, Analyst - international political developments, global issues, Indian national issues. “Masters of the art of diplomacy have failed to tackle the Indo-Italian imbroglio, emerging out of the killing of two fishermen of Kerala, in a mature way,” K P Fabian, former Indian Ambassador to Italy and the diplomat-in-residence of KPS Menon Chair for Diplomatic Studies, School of International Relations and Politics (SIRP) at Mahatma Gandhi University has said. He was delivering a special lecture on ‘Indo-Italian Imbroglio’ at the KPS Menon Chair here on Wednesday. Ambassador Fabian said the Italian government has erred in dealing with the marines case right from the day of the incident. “International marine law says that the victims of such incidents should be given immediate medical aid and if that had happened, the lives of the fishermen would have been saved. Instead, these marines, and on behalf of them, the Italian government acted in a strange way arguing that the incident took place in the international waters and therefore Kerala, or for that matter India, did not have any jurisdiction. Actually, Kerala’s position was correct and appropriate, and the Kerala High Court took the right decision in handling the case,” he said. He said it was unfortunate that the Supreme Court was too susceptible to the argument that Kerala had no locus standi. “This, in fact had complicated the matter and the case has been transferred to the apex court. And then, the Indian lawyers confused things with respect to the applicability of the UN Convention of the Law of the Sea (UNCLS), SUA, jurisdiction of Kerala etc. Actually, law exists to protect the innocent and punish the offender. International law, including the UNCLS, seeks to protect both small and big vessels. Small vessel is entitled to protection as much as the tanker. Though Kerala has not signed the UNCLS, the jurisdiction of the state stands valid as long as it is a part of the Indian Union and India is signatory of the law. Though the SUA can be legally possible, it is politically and diplomatically wrong,” he pointed out. He alleged that what heightened the tension in the whole episode was the lack of coordination between the Union ministries. “It was actually the Ministry of External Affairs (MEA) which should have handled the matter, instead of allowing the Ministry of Home Affairs (MHA) to deal with it. Unfortunately, MHA’s signals were not helpful, and thereby further antagonised the Italian government,” Fabian said.